Cute card! Love the CAS look of it. What a fun card. Love the bright colors of the balloons. Fun balloons! And so festive these colours! Love this! The colours are perfect and the simple layout really lets the balloons shine! I love this balloons in wonderful colors. Great card. Love those large balloons. Love the balloons with these great distress oxide inks. Really got to get me some of these inks. Great card ! I love your brightly colored balloons! This is a very simple and striking card. Great card and the colors for your balloons are awesome. Have to get me some of these inks later on. Thanks for sharing. Love those balloons! I have the stencil, but probably 'need' the dies!! I love the pretty die cut balloons! The color is fantastic! Such a fun card Tracey as always! It screams party! ♥ it! I love this CAS beauty! Love that die cut and how you used the oxide inks! I'm a big MFT fan, but your card made me write down the name of those Die-namics. Love what you did and how clean and graphic it looks. Such a fun card! I love those balloons - must get a set. Love the distressed balloons! Great card. Thank you for sharing. Your trio of big balloons have planted a smile allll over my face! Love this! I love your bold balloon card....very pretty! Great way to use the Distress oxides! Definitely inspired! Thanks! Love the colors! Beautiful card. Love your card! I've never seen filled sequins before. I'll have to give it a try. Cool idea! These balloons are very cute!Love the colors!Thank you for sharing. Love your clean card, Tracey. Perfect colors. Really lovely card. Fabulous colour choice! Love the balloon shapes and the distress oxide colours are great. TFS! What a great way to use Distress Oxide inks! It is amazing how many different balloons we have seen on this blog hop! So much creativity. Love your card. These are great ideas for simple and quick birthday cards. Thank you! Love this simple but eye catching card. Great colors and the balloons really pop out! I love your card. Beautiful balloons. Cute card. Love the colors of the balloons! I love the distress inked die cut balloons, they are so fun! love the distress inked and die cute balloons, they are so festive! Distress inks and die cuts make this card perfect! Love this pretty balloon card! Tracey... as always a wonderful card!! Simple and fantastic - Love it! Love these balloon die cuts and the fun oxide technique. Love this fun. cheery card! A super design & great colors! Beautifully CAS and the most lovely colors...... a fabulous card to celebrate 5 years! WOW! You've nearly done five CASology years yourself, fantastic loyalty. 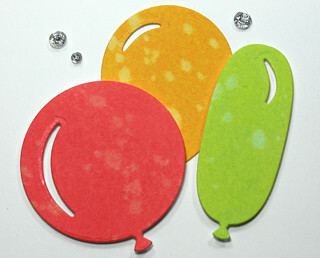 Loving your bright and splodgy die cut balloons, so much fun! Nice colorful card. I like that you did the sentiment on black. It makes the balloon colors pop even more. These balloons are so bright and happy!! It brighten up my day! So bright and cheery! Great card! The distress oxide colors are perfect on the balloons. Sweet card! Tracey...love your wonderful trio of balloons, they make one fabulous card. Great card. Love the balloon dies! YAY! I'm so glad you've joined in the hop, Tracey! LOVE your fabulous balloons and how you added texture to each of them...very cool! such a fun, bright card Tracey! This is super cute! and the bright balloons in contrast to the black and white sentiment adds a real WOW factor! Loveeeeeeeee this! LOVING the balloons!!!!!!!!!!! Amazing CAS card. So many different designs in the hop; this is one of my favorites. Such vivd colors and the black background for the sentiment really pops! Love your card! so pretty! love the stickles in the clear sequins--am so trying this! Very pretty colors of oxide inks you used for your balloons. Very cute card!! Love the die-cut balloons!! What a FUN card for the celebration Tracey! You always inspire me with your wonderful CAS works of art!! Oh wow, this is so so fun! Love the big balloons and those bold colors--so festive and fun! Don't you love those Distress Oxide Inks? They worked great for your balloons. Super cute card! The die cut balloons look awesome. Such a fun card! Love the bling! I love the cut outs of the balloons. This looked fun to make. What a cute baloon card you've made! Nice colours! Today is just an explosion of balls! Love colours of those balloons..
Loving your Distress Oxide balloons Tracey! Very fun and bright balloons. I see you were lucky enough to get your pre order of the new oxide colors. I am still not-so-patiently waiting for my pre order! Simply stunning! Love the oxide inks and the clean look of your card! What an incredible CAS card! I'm inspired. Loving you ideas of "filling" sequins with stickles. The CAS style fits perfectly. Wonderful card. I bet they are glad you said yes too! Great card that could be used for anyone. I am going to need those dies now! They look proper juicy balloons and love the colours you chose too thanks for sharing. Adorable card! love the distress oxide colors with the balloons! I must say I like the oxide inks better used singly like this than blended...nice job! Lovely card, I love the jelly bean colors and the details on the balloons. I love the cute balloons. Very nice card. I love the balloons and all of the great colors. This is adorable. Love the fun colors and the way you placed the sentiment. GREAT design! Love the different sizes and shapes. The Oxide inks are so popular now, I was happy to see you use them on this card. Beautiful colors on those sweet balloons! Seeing all these balloons is making me happy! Fabulous card! Love how the balloons take center stage! Such a bright and colorful card. Love the simplicity of the sentiment used. Great card. Love the pretty balloons and the white embossing looks awesome on the black. Pretty bling, too. LOVE your balloons, Tracey--such happy colours! 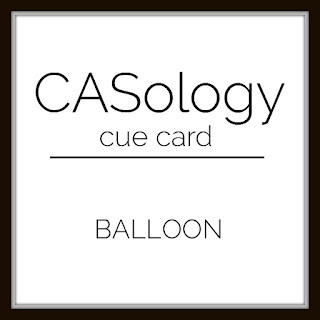 Great CAS card, love your balloon colors! Love your card! I'm really enjoying all the different projects with the new distress oxide inks (I've not used mine yet). I love being inspired! TFS! 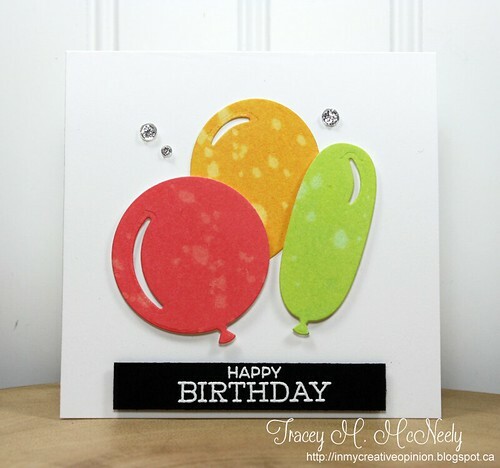 Fabulous card and balloons, love the look you got with the Oxides. Those oxide inks are just everywhere at the moment..love how you've used them here Tracey. It makes the balloons look really unique! I love the simplicity of your card! This card make me smile just looking at it. I love your die cut balloons... very nice. Such a fun hop to see the creativity! Well that's a cool cas card! Love the distress oxide on the balloons! How fun and simple! Super cute. Great balloon dies, and love the bling!! Wonderful card and congratulations on having made so many challenge cards for the DT and we all loved seeing them each week. I LOVE this card! Those distress inks are gorgeous. Love the look the oxide inks give to the balloons! Great card! This is such a happy card, from the brightly colored balloons to the "stickled" sequins. 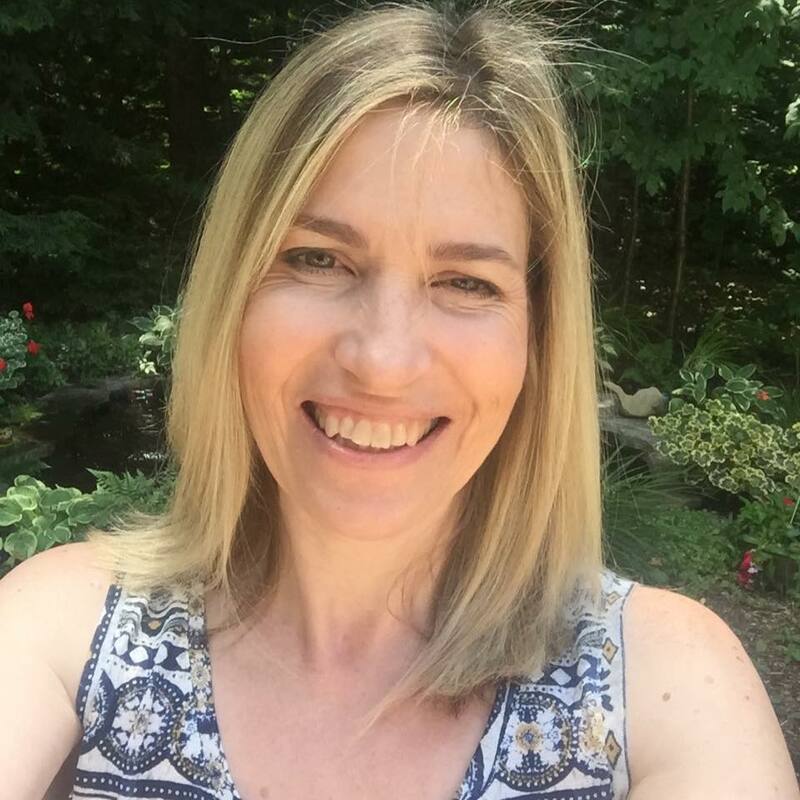 Thanks for sharing it on the blog hop. I love the texture on the balloons, wonderfully CAS! Love your balloons! Great card! Love this CAS masterpiece! I never thought of filling in the sequins with stickles...Thanks for the great tip! Love those MFT ballons! This card is so cheery, love the bright colorful ballons, thanks for the inspiration! 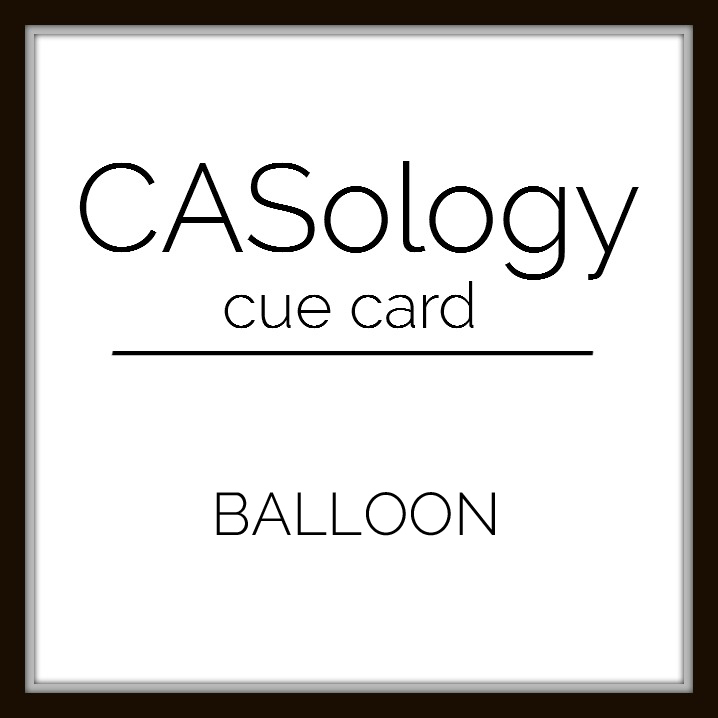 Congrats to CASology for the milestone! I love how you used the stencil to create your balloons!!! Love the bright balloons! Super cute card! How neat that you've been with CASology for so much of it's life! This is a fun and very CAS card... Bravo. Love the big bright baloons. I love this card and I thank you for showing us your colorful card. I also thank you for allowing us to win something from all of the contributors. I've never heard of most of them so I am going to check them all out later on. I can't wait to win something! Gorgeous and colourful card.. the balloons really steal the show! I love those distressed balloons! Your balloons are fabulous and pretty! Happy 5th anniversary, CASology! Such a clean and crisp card. CAS perfection x Thank you for all your amazing inspiration x Wonderful! Love those balloons - real dimension to them, and great colour! Love this colourful card! Aren't the distress oxides fabulous?! Such bright, vibrant colors on this beautiful card. Love it! I hope I have time to play along. Love the bold and graphic look of your card, Tracey! Your balloons are fantastic, and now I am curious about those oxide inks. So great to see you back at CASology for the celebration. Wow, your balloons are just so cool! Love how they are the focal point of your card and the crisp black and white sentiment is the perfect accent. Love those big bright balloon dies! Fabulous CAS design! I love the way oxides react to water! Great card! My favorite kinds of cards combined... CAS and balloons! I have a whole Pinterest board with balloons on cards! Really like your card! So CAS and clean. Perfect! Those balloons are adorable and I love the look of the Oxide inks!